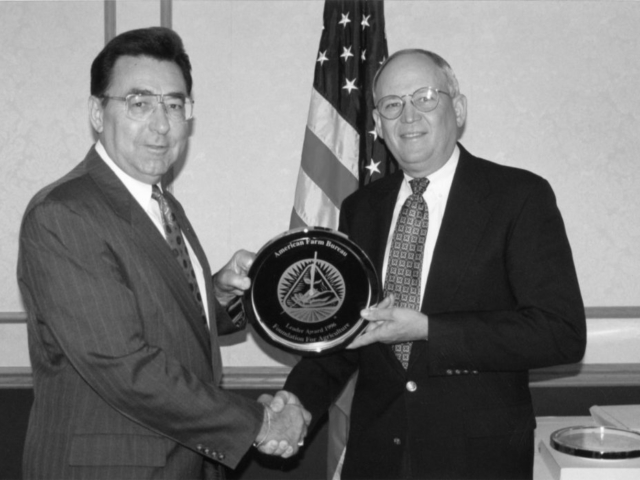 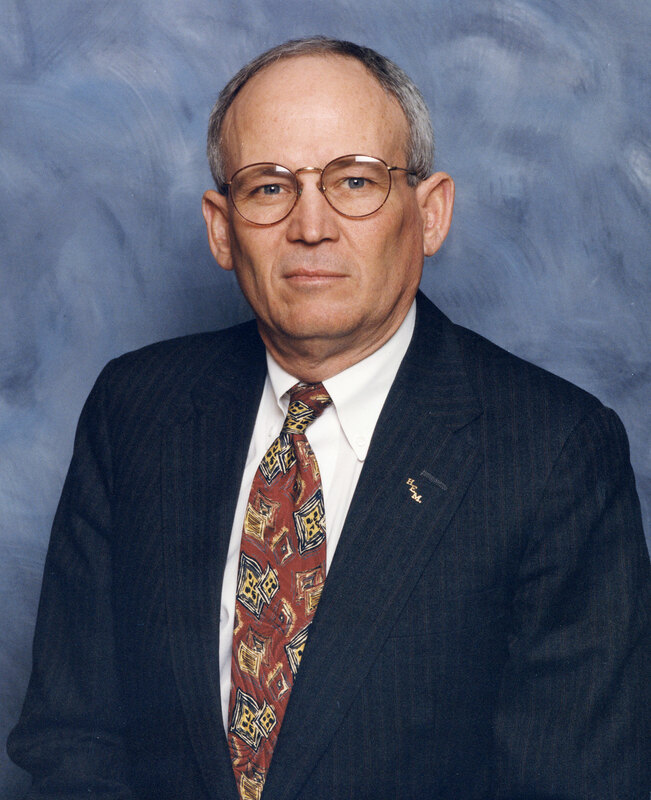 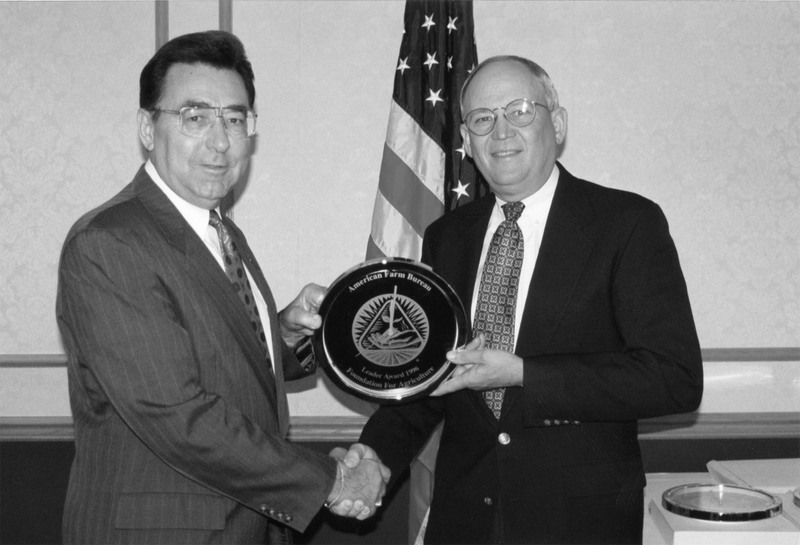 Woodward County’s H. Eldon Merklin was elected as president of Oklahoma Farm Bureau in 1993. 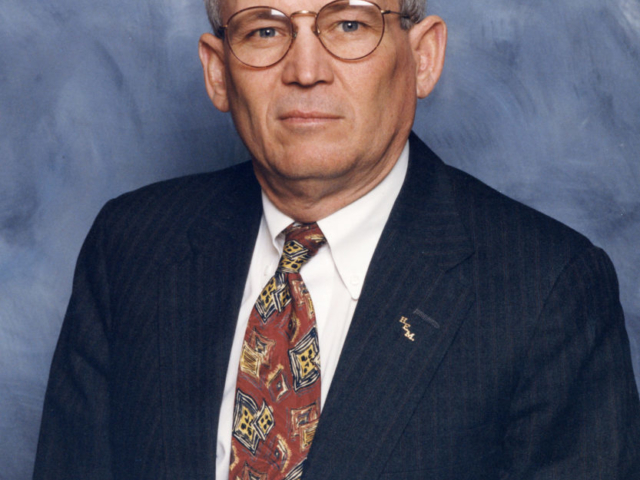 Merklin served on the Woodward County Farm Bureau Board before he was elected to the OKFB Board in 1975 representing OKFB’s District 1, where he represented members from the northwest part of the state. During his tenure on the OKFB Board, he served his first vice presidential term from 1977 to 1985, and returned to the vice president position in 1988 and served until 1993. 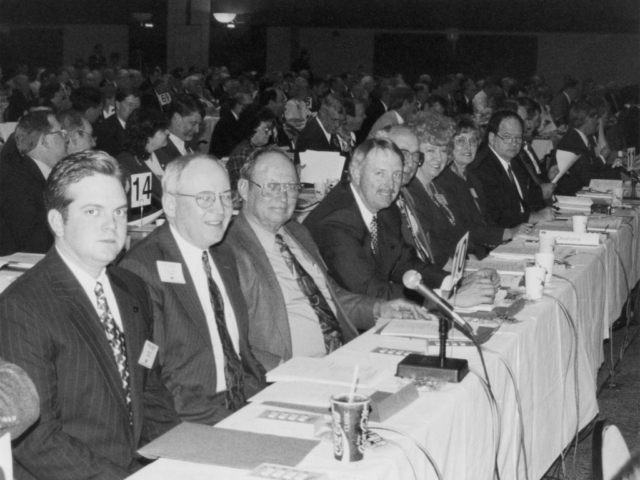 Merklin was elected to the American Farm Bureau Federation Board of Directors in 1995 and served through 1997, when he opted not to seek re-election to the OKFB president’s office. 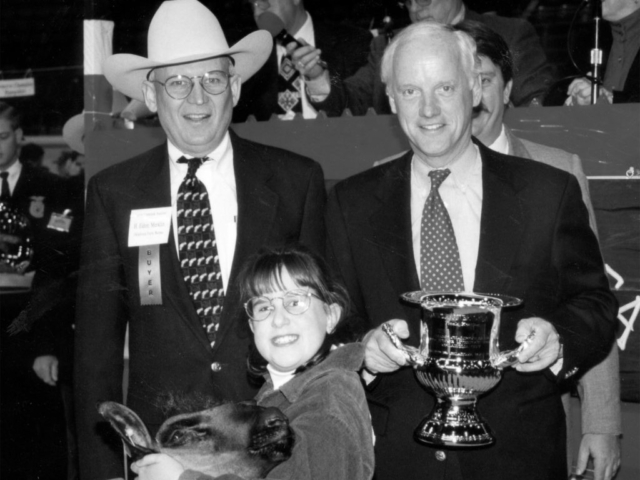 In addition to his service to Farm Bureau, Merklin was appointed to the Cattlemen’s Beef Promotion and Research Board by the U.S. Secretary of Agriculture in 1986, and then re-appointed to a three-year term in 1987. 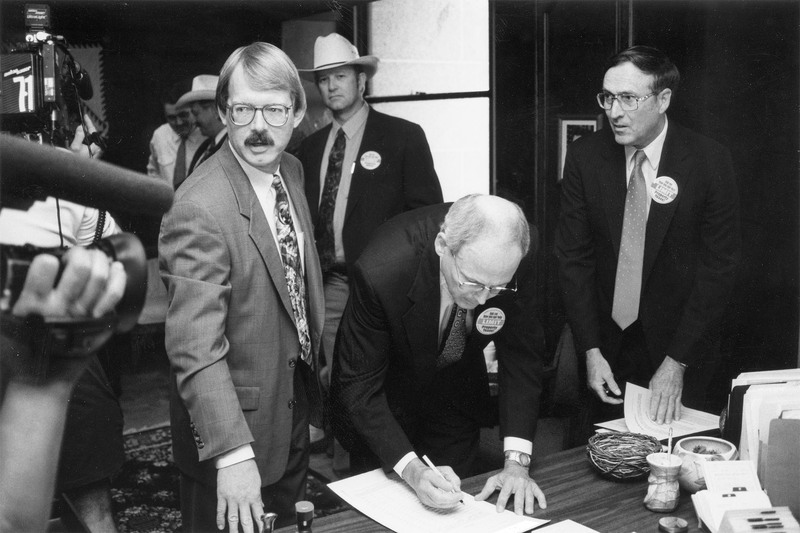 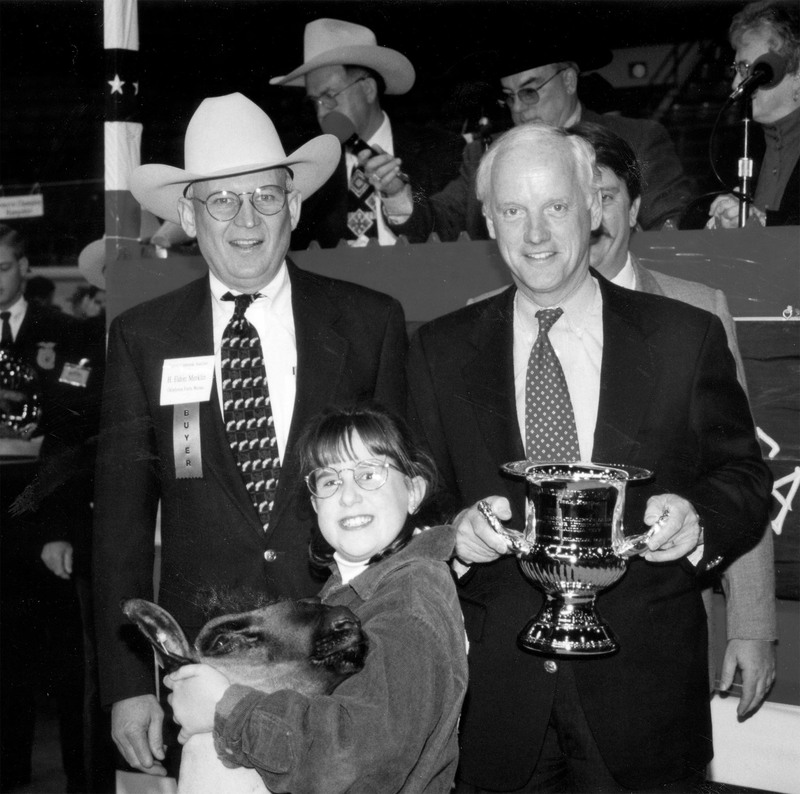 Merklin was elected as the first chairman of the Oklahoma Beef Council in 1990. 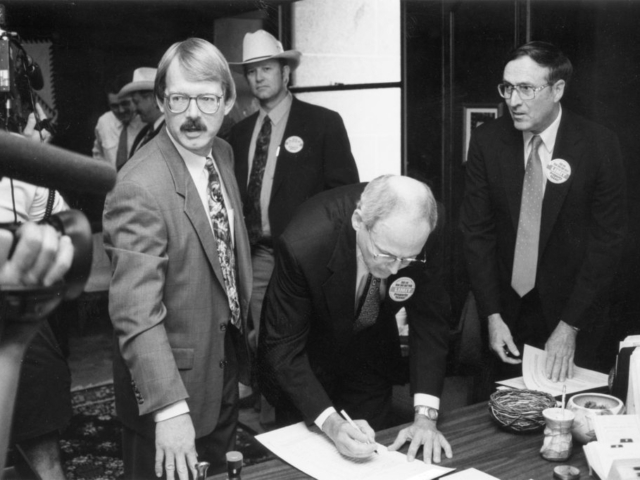 The Oklahoma Senate President Pro Tempore appointed Merklin to the Advisory Task Force on the Sale of School Land in 1990.